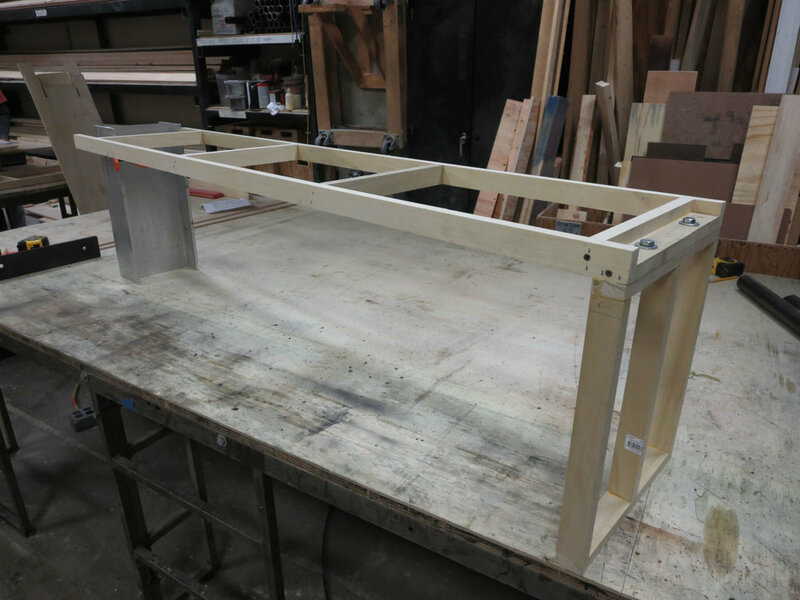 Building this identical pair of benches was was one of the more challenging props I have undertaken to date. The director required the benches be strong enough to be stood upon, yet light enough to be carried onstage by one actor. This proved to be especially challenging considering the 4'-6" unsupported span underneath the seat. Using a spreadsheet program I wrote, I was able to accurately project what different combinations of materials would weigh and strike a balance between weight and strength. 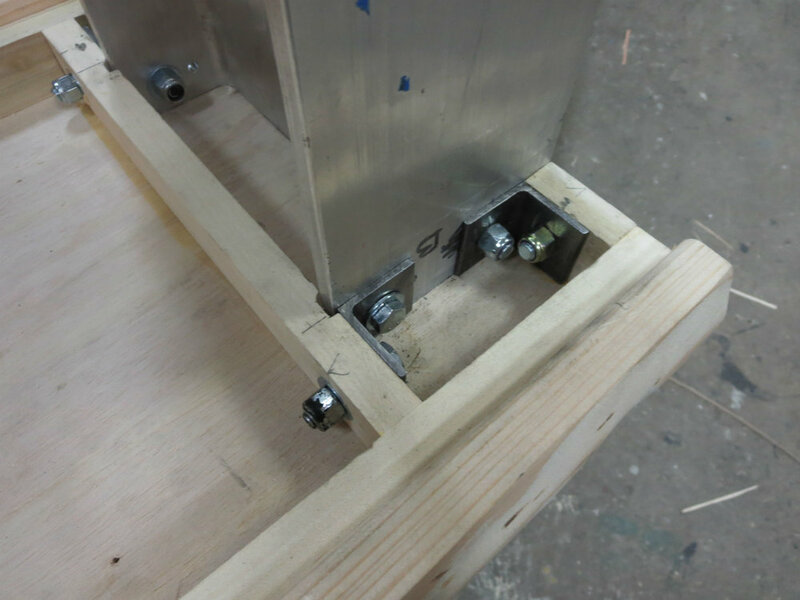 A stress-skin construction was utilized; an interior frame made from 3/4" x 2" poplar was built for the seat and one of the legs and bolted together, this was later faced with 1/2" plywood on both sides. 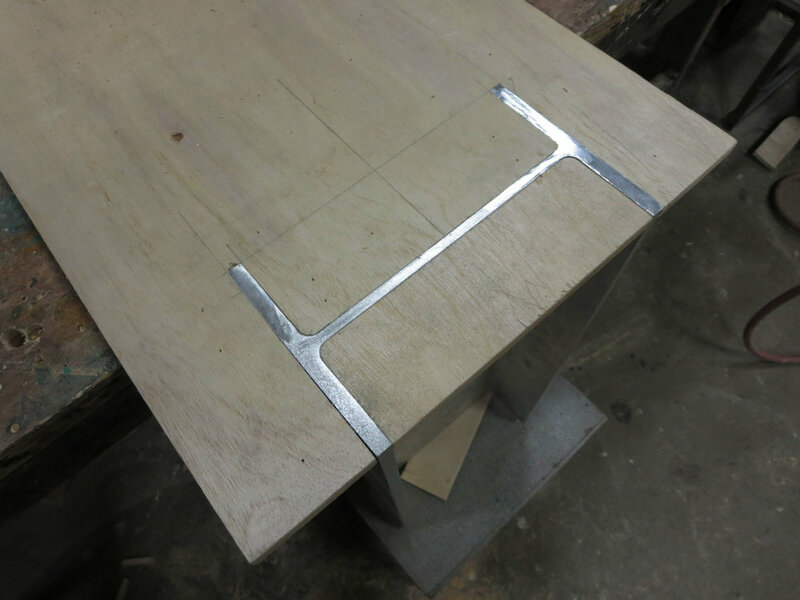 To complete the modern look an aluminum I-Beam was used for the opposing leg and sculpted pine 2" x 4" was applied to the sides to give an the appearance of a live-edge plank. 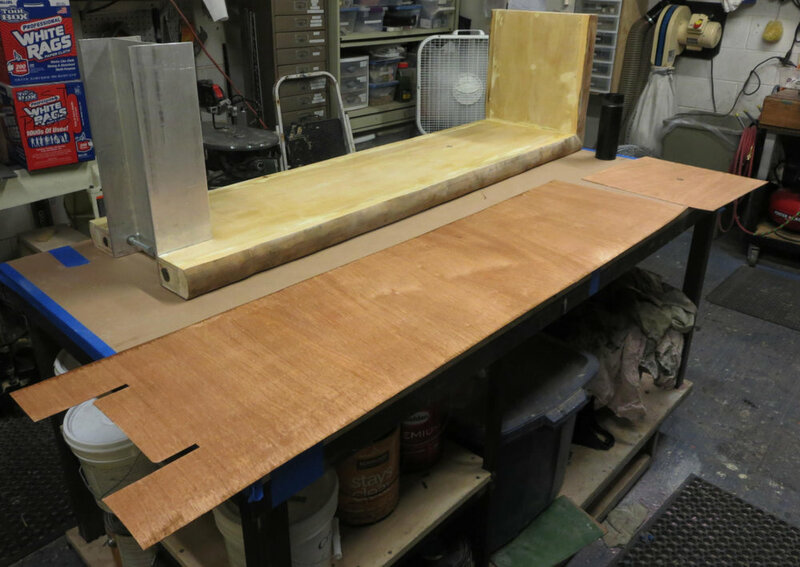 After assembly, veneer was applied to both the top and bottom surfaces (taking extra care to have the grain match where the seat meets the leg) to provide a more visible grain pattern. Staining and painting was done by Sophia Briones and Jonathan Berg-Einhorn.